I was prepared for the fact that older women get the Casper-the-ghost treatment in our overarching culture obsessed with youth and desirability. Or at least I thought I was. I knew the male gaze would someday fade away, as surely as the headiness of a new shoe purchase does. So I wasn’t overly bothered when, in my early 50s, men’s eyes began to go right through me like X-ray vision. 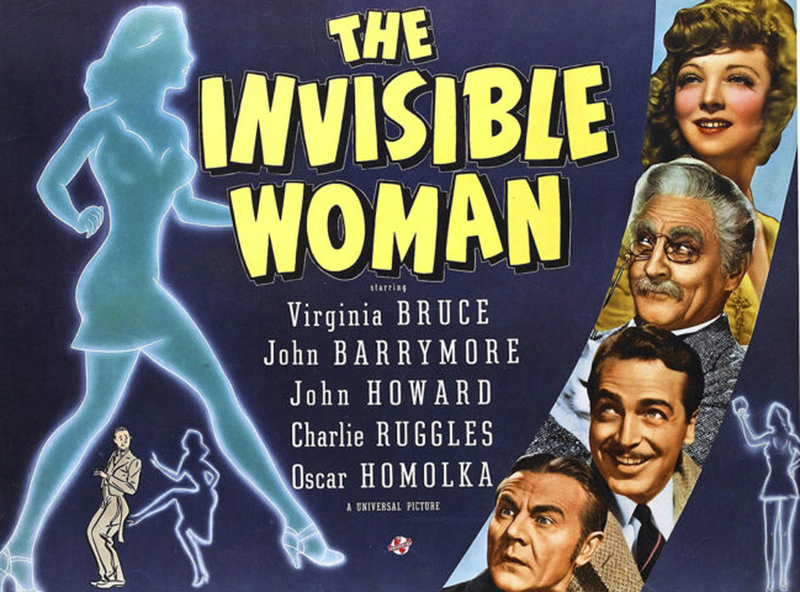 Much more disconcerting was becoming invisible to other women. Now that was unexpected. I noticed this for the first time at Zumba in my new hometown of Dripping Springs, Texas, outside Austin. I was trying to make a friend — something I’ve never had trouble doing. But many of the women in the class were younger than I am. My attempts to start conversations, to connect, went nowhere. I was surprised, and yes, hurt, that I would get the blind eye from a bunch of women. Maybe they saw me as their mother’s age and didn’t need another mom figure in their lives. Once — after about a year of twice-a-week Zumba — I saw a woman from my class at the post office and smiled at her. She looked startled and gave a wary smile in return. I could tell she didn’t recognize me. Ouch. Why didn’t she know my face? At the next Zumba class, I looked at the women she talked to before class started. Actually, I looked at the whole social sorting of the class. I noticed that clusters formed around the most attractive women — those in the best physical condition and particularly vibrant — like crows drawn to shiny objects. I also realized that quite a few women like me were standing around alone or maybe talking to one other person. It hit me that I had been exclusively focused on the younger women, the ones who looked like I wanted to still look. I was guilty of the very sin I felt had been committed against me. I was overlooking the other women, especially those older than me — women in their late 60s, 70s or even 80s. I assumed I had nothing to talk about with these women and that we were in different life stages. It was a revelation, a palm-smack-to-the-forehead moment. I immediately worried that I might have passed one of the older women in the supermarket without recognizing her from Zumba class. After that realization, I’ve talked to other women who know that blank stare that can be delivered by other women. A friend in Arizona who is about to turn 60 told me it’s a running joke in her family that people are always overlooking her. Janet Rosen, a 59-year-old literary agent and writer from New York, believes that some women unconsciously feel there is a finite amount of visibility. “If women let someone else have some, there isn’t enough for them,” says Rosen. She also thinks women 10 to 15 years younger than her are most guilty of making her disappear. “They seem to be fearful of reaching their 50s and older so they pull the invisibility shield,” she says. “Obviously, being post-menopausal is contagious and they must not acknowledge” the existence of such creatures. I have my own theories on why this happens based on my experience as a victim and perpetrator of invisibility. Maybe subconsciously we still want to be in the cool group like in high school. We want to surround ourselves with people who reflect well on us. Will It Rub Off On Me? It’s as if we think the physical traits of the greater group will rub off on us. If we associate ourselves with women who are visibly older than we are — grayer hair, deeper wrinkles —maybe people will assume we’re in that same demographic. But if younger people take us into their energetic crowd, we hope that we’ll absorb some of their vitality. I am on the hunt for women my age and older and make sure I “see” them. I smile at them or ask how they’re doing, even if I haven’t ever met them. That acknowledgement builds solidarity. Cultivate friends of different ages. This isn’t high school. Your friendships aren’t based on who sits behind you in homeroom. This is life, and we can choose to widen our horizons. Younger women can offer a fresh perspective; older women can offer the wisdom that comes from scouting out the road ahead. If you’re feeling invisible, don’t just stand there and let someone’s eyes burn right through you. Introduce yourself. Ask them questions about their lives. What’s the worst that can happen? They don’t answer? They excuse themselves and run? That’s a risk, of course. But aren’t we at that age when we could care less about what people think? When we feel lonely and overlooked, we want someone to do something. But the thing is, we are that someone. And we can do something. That’s reassuring, and when put into practice, rewarding. Thankfully in my 60s I haven’t felt invisible and hopefully I never do. I certainly no longer get those hot stares from men that follow you round a room. However, a girlfriend (quite a bit younger) and I were totally overlooked by a bartender recently. We were right at the front of the bar and he looked over the top of us and took the order of the guy behind us. Quite frankly we were shocked! Do men feel they become invisible after a certain age? Perhaps the Alpha male doesn’t, but I feel sure a quieter man may. Good point, I wonder … maybe we’ll here from some of them!